Happy Earth Day! | Welcome from Ann! Hi, ya’ll thanks Earth Day friends and beyond!!! Love the hair celebration of Earth Day! Totally cool! You inspire me to think green in ALL ways. THANKS! Love your green streak that shows in the picture. I know you have a green streak in your heart too. Happy Earth Day! 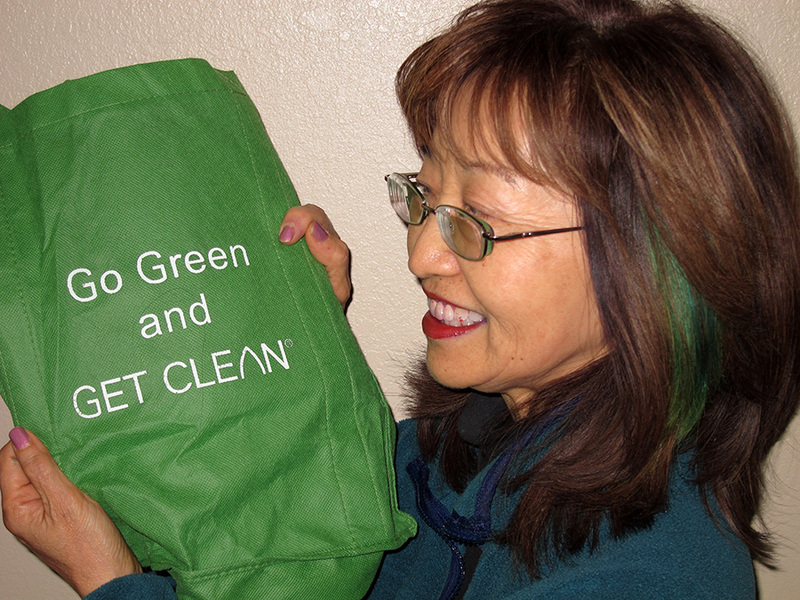 GO GIRL… Love this photo & your bag ‘$ fine’ reminder. Earth Day HUGS to you!